Each Zen Custom Facial is a truly unique and customised experience. 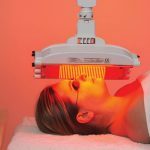 All our facials start with a consultation to ensure that you receive a tailored treatment, based on your objectives as well as your skin type and current skin condition. Your therapist will select products from across the full Murad range of advanced cosmeceutical products to ensure you get the maximum therapeutic results from your session. Zen custom facials include intensely relaxing massage and relaxation techniques, so no matter what type of facial you end up with you won’t miss out on any pampering! Book your Zen Custom Facial today by calling your nearest Zen Lifestyle beauty salon.